I think if I had to pick one reaction to sum up my thoughts on the Knack franchise it would be "confusion." It's a feeling that is even more profound after playing Knack II. The entire idea of Knack II seems to be "hey, it's more Knack, but co-op." Can you find someone to play Knack with? I mean, I can see the allure of playing Knack II with a family member to introduce them to action games as a whole, because in that way, it gets the job done with its emphasis on drop-in and drop-out co-op. But depending on their fortitude, they might be dropping out. Not at first though. 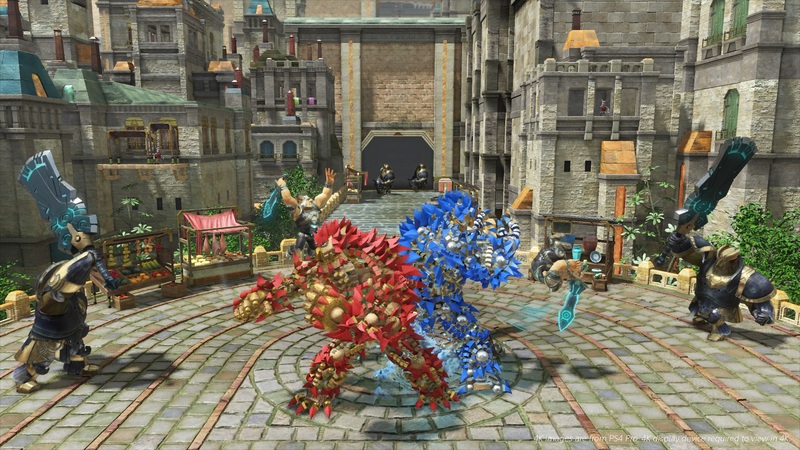 Within a minute Knack is bashing things, which by all accounts is pretty great for an action game. You don't need context, he's a cellular (sorta) robot thing in a world of disproportionate humans that all look like Mr. Incredible. Okay well we get a little more context as to why the opening chaos is happening after 15 minutes or so, but Knack just...is. That's in part due to the homogenization of combat. 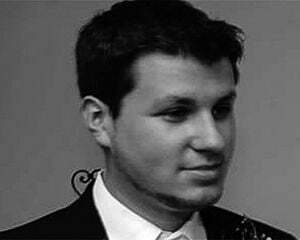 There's a punch and kick that feel the same, a jump that dovetails into a hover or double leap, a block that doubles as a light parry, and a right-analog dodge. All of those concepts encompass Knack II's offensive and defensive sensibilities, which is a laundry list for a mascot platformer -- except you don't need most of them. There is the added feature of swapping between a bigger and smaller Knack for platforming purposes, but it's a little too scripted for my tastes. Instead of organically being used in a way that challenges the player to constantly be morphing, or perhaps even forcing us to toggle it in combat, it's more like an occasional, safe thing that lacks excitement. In fact, many (not bad) platforming sections don't require precision at all (you can skip entire portions with your hover) which cheapens them. There's a bunch of cool things in Knack II that are sort of glossed over, actually. The Sphere Grid-esque level-up system is cool on paper, but is mostly superfluous given how scripted most aspects of the game are. There just isn't a whole lot of soul to link everything together, and as much as I think the traditional open world trend is already saturated, it would have been great to see a bunch of little sandboxes with a bigger focus on exploration. The team also could have toyed with the idea of giving Knack some more emotion. His small, medium, and large formations kind of elicit the nuances of a child, teenager, and adult respectively, but most of that is fleetingly in spurts, and they never really go anywhere with it. 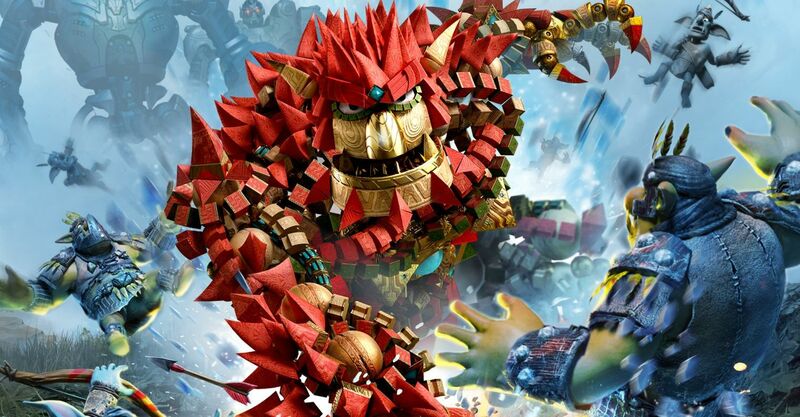 I'm not expecting a touching Pixar-quality tale per se, just a little more of a reason to care about Knack. Although I didn't have any performance issues at all during my playtime, HDR and any Pro-specific FPS enhancement don't really help Knack II. There's a lot of really cool sequences to behold like Knack reforming bit by bit when he bodyslams, but there was a moment where I was in an arena battling humanoids that looked like they had been stripped from a mid-2000s Xbox game where I started to rethink my life and the choices that led up to that moment. Knack II has the bones of a good platformer and a hint of charm but it just doesn't execute. I'm not sure what the Knack series attempted to accomplish, but after a sequel, it stands as one of the most missable franchises Sony has ever crafted. Maybe one day Sony can combine both of these together on the PS5 as a free PS Plus item and call it the "Knack Pack." That one's free.